Xiaomi made headlines last year when they announced the Xiaomi Mi A1. The device was a rebranded Xiaomi Mi 5X, a decent midrange phone, but the actual software running on it was a strong departure from Xiaomi’s MIUI. The Xiaomi Mi A1 was Xiaomi’s first device in the Android One program which meant the device ran a bloatware-free, no-frills stock Android experience. Now, the company has unveiled the successors to the Xiaomi Mi A1 – namely, the Xiaomi Mi A2 and the Xiaomi Mi A2 Lite. Here are the specifications, pricing, and availability for the Xiaomi Mi A2 and Xiaomi Mi A2 Lite. Display 6-inch 1080×2160 18:9 IPS LCD. 403 PPI, 85% NTSC. Color contrast ratio: 1500:1. 2.5D glass. 5.84-inch 1080×2280 19:9 IPS LCD with screen notch. 432ppi,84% NTSC. Color contrast ratio: 1500:1. 500nit maximum brightness. If these specifications look familiar, don’t be too surprised. 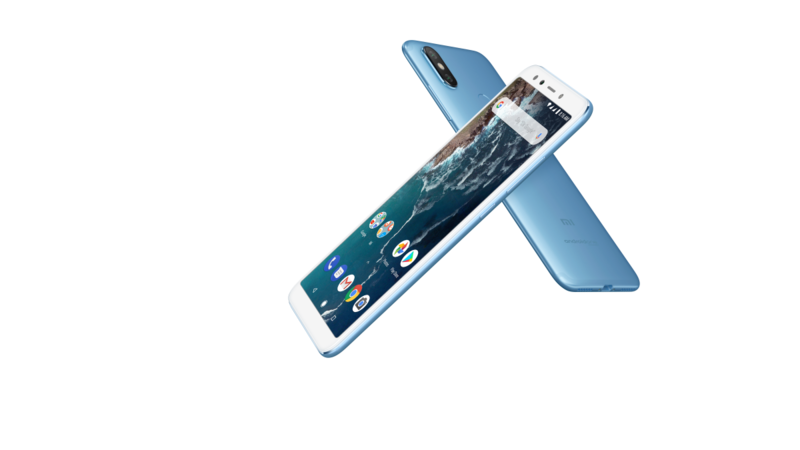 Just as the Xiaomi Mi A1 was a re-branded Xiaomi Mi 5X, the Mi A2 is a re-branded Xiaomi Mi 6X while the Mi A2 Lite is a re-branded Xiaomi Redmi 6 Pro. This is as expected ever since our first leak of the devices, code-named “jasmine_sprout” and “daisy_sprout” respectively, back in April. Both of these devices are plenty powerful for what you’re paying for. The Xiaomi Mi A2 packs a Qualcomm Snapdragon 660 processor clocked at 2.2GHz, a powerful and efficient choice that has proved to work awesomely for devices like the BlackBerry KEY2, the Oppo R15 Pro, and the Nokia 7 Plus. 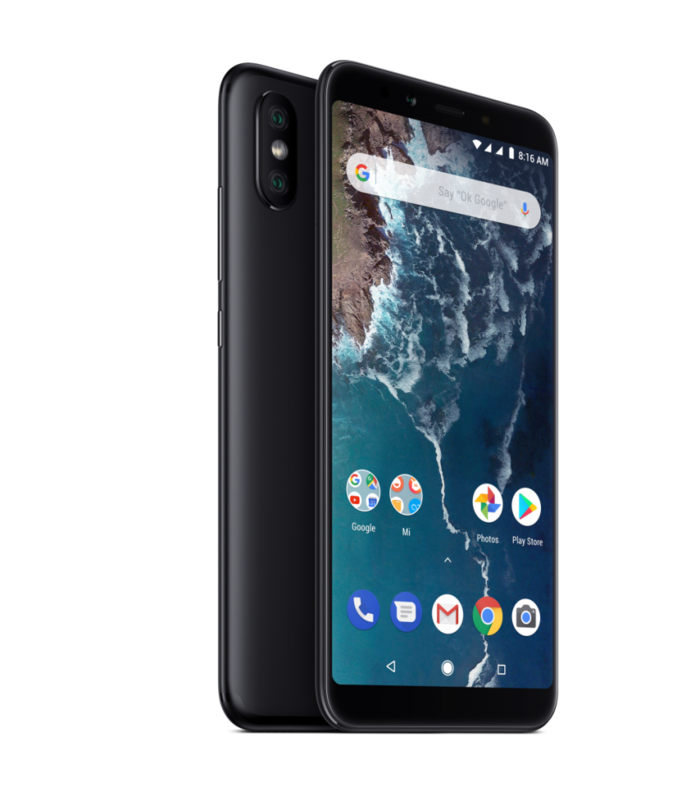 Meanwhile, the Xiaomi Mi A2 Lite plays safe and sticks with the Qualcomm Snapdragon 625—the same SoC found in its predecessor, the Xiaomi Mi A1, as well as many other Xiaomi devices. The Qualcomm Snapdragon 625 is now an aging processor, and Xiaomi has already used it on their older phones a bit, but it’s still a pretty solid offering for cheaper midrange devices. 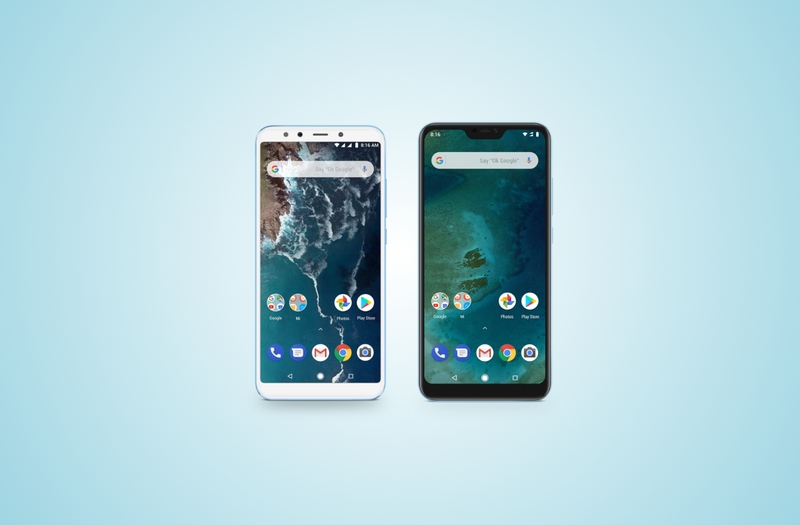 Both offerings pack entirely different display choices: the regular Xiaomi Mi A2 packs a 6-inch LCD with an aspect ratio of 18:9. 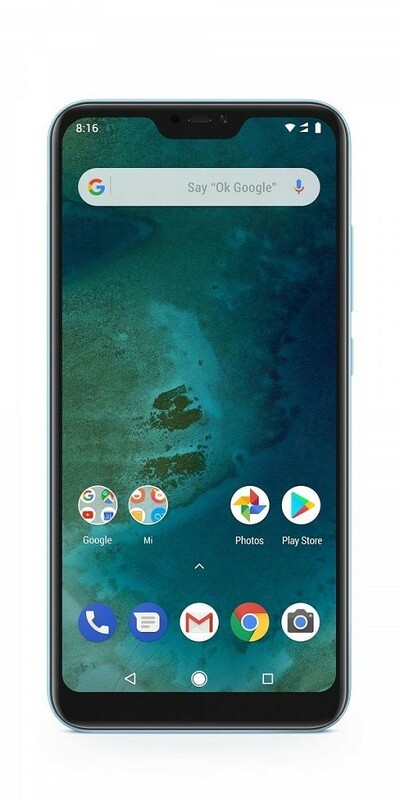 The Xiaomi Mi A2 Lite, however, gets a 5.84-inch LCD with an aspect ratio of 19:9, which means that it has a display notch. It’s a rather small, however, and don’t expect to find any structured light sensors like on the Xiaomi Mi 8. The Xiaomi Mi A2 includes 3 different storage tiers: 32 GB, 64 GB, and 128 GB. You’ll probably want to get the bigger storage option, however, as you don’t have the option to expand it with a microSD card. The Xiaomi Mi A2 Lite comes in 32 GB and 64 GB options, but it’s expandable by up to 256 GB thanks to a dedicated microSD card slot. As for RAM, the Mi A2 comes in 4 GB and 6 GB RAM options, while the Mi A2 Lite is available with 3 GB and 4 GB of RAM. The Xiaomi Mi A2 Lite packs a meaty 4000mAh battery, which coupled with its power-efficient Qualcomm Snapdragon 625 SoC, should result in excellent battery life. The bigger Xiaomi Mi A2, however, only includes a 3000mAh battery. It is definitely no slouch, and the Qualcomm Snapdragon 660 is pretty battery-efficient too, so battery life should be solid–probably similar to the Xiaomi Mi A1. The smaller display in the Mi A2 Lite, as well as the bigger battery and less power-hungry processor, mean that this is probably the best option for those who value battery over anything else. Both phones in the Mi A2 line are completely different in this aspect. 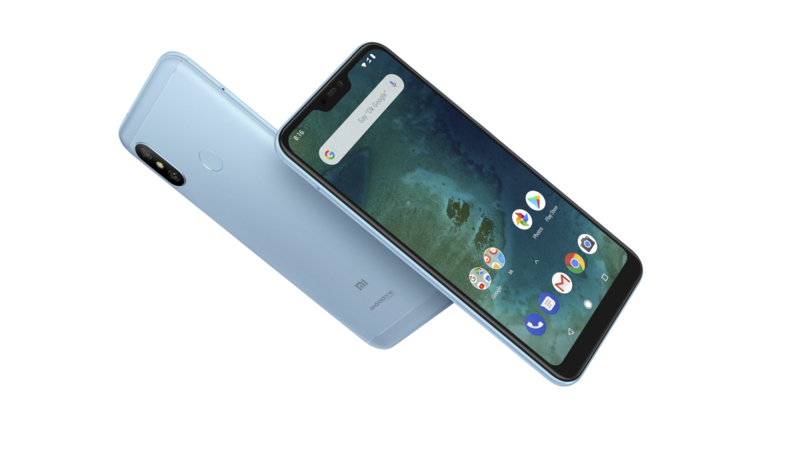 The Xiaomi Mi A2 retains the USB Type-C port found in the Xiaomi Mi A1, but sadly gets rid of the 3.5mm headphone jack. You do get a USB Type-C to 3.5mm adapter included in the box, however, so you still have the option to use your own wired headphones. The Mi A2 Lite retains the headphone jack has the older micro-USB charging port. The Mi A2 is touted to be a “photography powerhouse”, according to Xiaomi. The dual 12MP+20MP camera setup, aided by Xiaomi’s artificial intelligence, features “Super Pixel” technology: That is, the device combines four pixels to create a larger pixel, improving the sensor’s light sensitivity and resulting in clearer pictures. The same technology is also present in the front facing 20MP sensor. The camera setup in the Mi A2 Lite is much more modest than the one in the Mi A2, yet it doesn’t disappoint as it features dual 12MP+5MP sensors on the rear side as well as a 5MP front-facing camera. The software is probably the main draw of both devices, at least for users on our forums. Both devices are part of Google’s Android One program, and they come with a no-frills stock Android 8.1 Oreo experience out of the box. This doesn’t necessarily mean that fast, timely updates will be provided here as it’s Xiaomi handling updates here and not Google–the Xiaomi Mi A1 took some time to receive the official Android 8.0 and Android 8.1 Oreo updates. Thanks to Project Treble support in tow, however, we should see a faster release of Android P for the devices. If MIUI is really not your cup of tea, these budget-friendly, mid-range Android One offerings are worth a consideration. The Xiaomi Mi A2 will be available in 3 different versions: 4GB+32GB for €249, 4GB+64GB for €299, and 6GB+128GB for €349. The Xiaomi Mi A2 Lite will be available in 2 versions: 3GB+32GB for €179 and 4GB+64GB for €229. These prices are for Spain, but the device will be rolled out to 40 markets later this month (expand the toggles below for the full list). The Xiaomi Mi A2 will be available in Black, Gold, Blue, Red, and Rose Gold, while the Xiaomi Mi A2 Lite will be available in Black, Blue, and Gold. What do you think about the new Android One devices from Xiaomi? Let us know in the comments below!